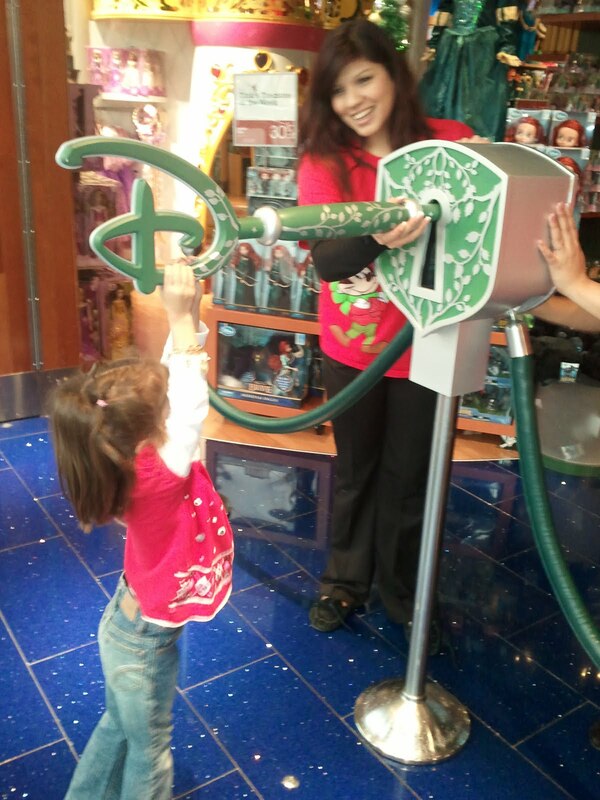 Montebello Mom: Experience Disney Magic Every Day: Open the Disney Store!!! Experience Disney Magic Every Day: Open the Disney Store!!! Experience a little bit of Disney Magic every morning at the Disney Store. It's a little known secret...the first Guest at a Disney Store is given the special honor of opening the store. Before the store opens, stanchions are set up across the entrance and in the center is a large lock. A Cast Member brings out a giant key that is stored in a cabinet behind the registers. 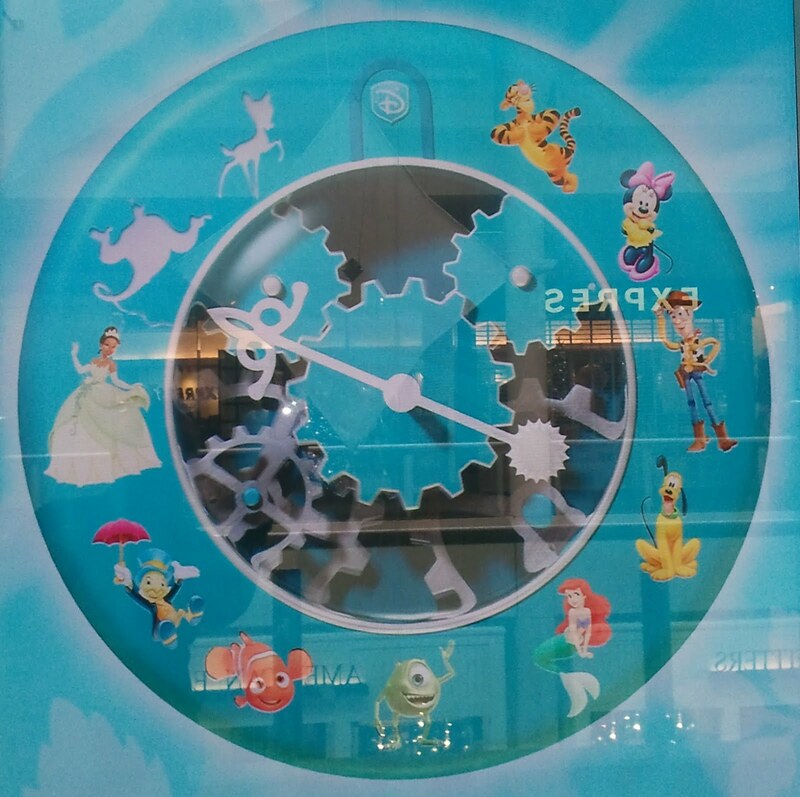 The digital marquee counts down the last minute before the store opens and reveals favorite Disney characters. At the appointed time, the Guest turns the key, the ropes are released, and the store is officially open! The lucky Guest receives a replica key as a souvenir. All three of my children have enjoyed the experience of opening the Disney Store. They love the attention and cherish the key they were given as a memento. I suggest arriving at the Disney Store a minimum of 15 minutes prior to the scheduled opening to secure the coveted first Guest spot. Montebello is remodeled Disney Store with a "Magical New Store Design." If your Disney Store is not a remodeled store I suggest you call to ask if that location participates in the store opening event. IKEA Covina: Free family fun for all!